Devin Mesoraco’s minor league deal with the Mets is $1.75 million with $250,000 in incentives. Stay healthy, please: the 2019 Mets thread. The Mets have signed infielder Adeiny Hechavarria to a minor league contract with an invitation to big league camp. Jed Lowrie's MRI exam revealed no significant damage to his left knee, Mets plan to take it slow with him. Nimmo ate undercooked chicken that he prepared himself and got sick, according to Callaway. Mets plan to teach him how to cook. Al Leiter, who recently left his broadcasting duties at the YES Network, has joined the Mets as a baseball operations advisor. The Mets are hiring Jessica Mendoza as a baseball operations advisor, per source. She will remain at ESPN and on Sunday Night Baseball. 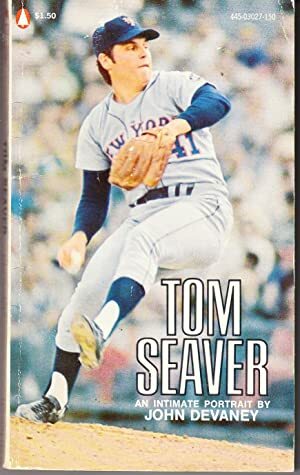 From the Hall of Fame: Tom Seaver's family announced today that he has been diagnosed with dementia. Tom will continue to work in his beloved vineyard at his California home, but has chosen to completely retire from public life. I knew he was unwell, per Art Shamsky at January's SABR NY meeting. Sad. Hope he feels some enjoyment from working the vineyards. Just heard about this yesterday from a friend. Bench was my first favourite player, he--thanks to this dime-store biography--was my first favourite pitcher. Luis Guillorme has earned a roster spot as a utility infielder in a surprise move that sent Adeiny Hechavarria packing. Hallelujah, cuz Aunt Daisy can outhit Adeiny. well he hadn't seen those, but perhaps he envisioned them. I watched the 8th inning in a bar -- which took forever -- and I had no idea who the Davis who knocked in 2 runs was, except he wasn't Chili or Ike. Glad I missed the Lugo excitement. Peter Alonso (WAR leader) riding the pine. Al, Dom Smith had two hits. They're not going to let him rot on the bench. Adding to the Mets' tight turnaround between last night's game and this morning: Dominic Smith and one other Met were randomly drug tested late Wednesday. Smith didn't really have to pee, so he chugged water while his teammates waited close to an hour for him to do the deed. morbs/mgill/jcrunch how do you feel about mickey as a manager? I think he's fine too. All the mets twitter/reddit/etc I've seen has been awfully harsh considering how things have gone so far. how do you feel about mickey as a manager? Twitter/reddit/sbnation fans are "out for blood" (Dicomo's words) because he's supposedly making bad bullpen / lineup moves, double switching, bunting in the wrong places. He's gambled a few times with using a reliever for a second inning and has gotten burned for a few runs, but it's kind of overblown because everyone in the bullpen has been struggling aside from Diaz. It's always pretty easy to Armchair GM using hindsight. Once a member of Panic City, always a member of Panic City though. i am familiar with the situation. when the manager is doing questionable things that aren't working out well, and it's tough to tell where the fault lies with the manager and where it's just weird baseball luck. I'd argue that none of the questionable moves have directly ended up in a loss yet. Just stuff like, "we had a comfortable lead in the game, but then the reliever struggled and we had to use Diaz again and I CANT TAKE IT." I have not seen a game all the way thru yet, but the fan sites say Callaway is addicted to double switching. Looks like Alonso is making the case for more bench time. Ahead of tonight’s game, the Mets have announced that they have recalled Corey Oswalt from Triple-A Syracuse and optioned Tim Peterson. "Ride The Pine" Pete has 5 HRs over his last 5 games. Friday, April 12, 7:20 p.m.
A night after his splashdown homer, Pete Alonso gets his second scheduled off day of the season. Ron Darling is taking a medical leave of absence from his broadcasting duties due to a large mass found in his chest, which will require surgery to remove. Provided there are no complications, he should be back announcing Mets games sometime next month. If the Mets are not going to use Díaz here — when he’s clearly better than the other option, when he hasn’t pitched in three days, when the bases are loaded in a one-run game, when the heart of the opposing order is up, when it’s a division rival, when the pitcher’s spot in the order is a full nine batters away, when it’s literally the highest-leverage plate appearance of the Mets’ season to this point — then it’s fair to wonder when they will. thx to you last night i was thinking "Mathenaging"
Brandon Nimmo's first eight games: .077/.250/.077, 0 XBH, 5 BB, 17 K.
Brandon Nimmo's next eight games: .393/.500/.821, 6 XBH, 5 BB, 9 K.
It appears he's figured it out. 31 pitches, 0 outs recorded. Brandon Nimmo still has a ton of soreness in his neck. He took a muscle relaxer, but woke up with little range of motion -- about the same as yesterday. Nimmo is almost certainly unavailable to pinch-hit today, but he doesn't think it's serious enough to warrant an IL stint. DeGrom’s elbow is “barking” according to Callaway. He’s been sent back to NY for an MRI. what, BP vs Vargas? congratulations. Appears to be a duel of mid-80s-mph junkballers. Radio team sez MRI for deGrom not yet planned. I know everyone is naturally skeptical when it comes to injuries, and that reputation exists for a reason. That said, everything I've heard today indicates this really is a minor issue for Jacob deGrom, at least as far as the Mets can tell pre-MRI. The concern level isn't high.